Check here for details on my book signings and classes. You’ll also find original seasonal recipes, often inspired by my travels. 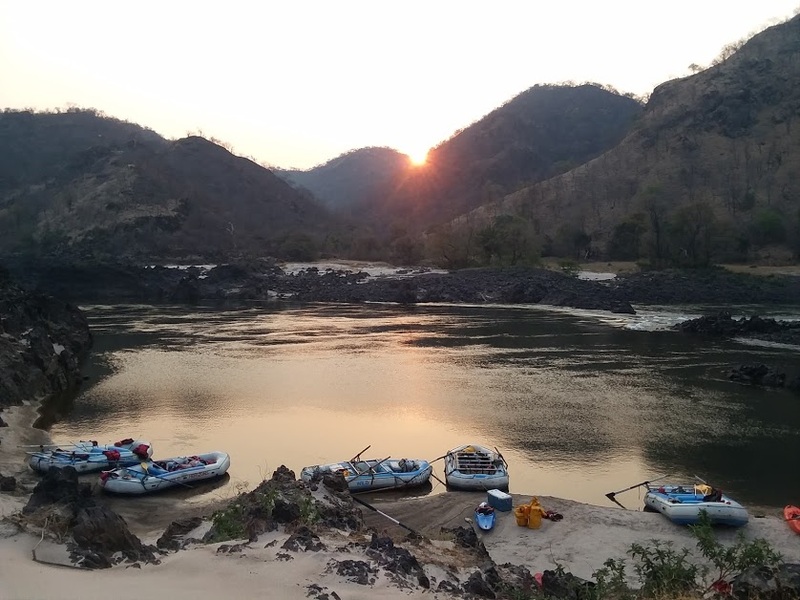 I just walked in the door after an epic month in Africa (Zimbabwe, Botswana, Zambia and South Africa), where part of my trip was spent rafting the world-class Zambezi River with outfitter extraordinaire, Bio Bio Expeditions. Check back for updates on where to find coverage of my trip. While in South Africa, I did a five-day hike on the remote Wild Coast, on the Eastern Cape. Each night, I stayed at the home of a different Xhosa (the predominant indigenous people of the region) family. 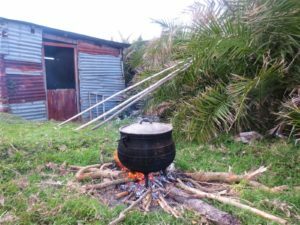 A daily highlight was being greeted upon arrival with freshly-made umbhako, a slightly sweet bread steamed in a cast iron pot over an open fire. Slathered with butter and served with hot tea, it’s both restorative and addictive as all hell. >Combine the flours, salt yeast and sugar in a large bowl. In a separate bowl, combine the eggs, oil and warm water. >Slowly add the wet ingredients to the dry ingredients, mixing gently between each addition of liquid. >Pour the dough into a well-oiled cast-iron pot; it should be 3/4 full. >Put aside in a warm place until the mixture has risen sufficiently to fill the pot, about 45 minutes. >Bake in a pre-heated 350 oven until a skewer comes out cleanly – about one hour. "Miller and Skinner have taken a topic that could fill encyclopedias and made it accessible and fun." 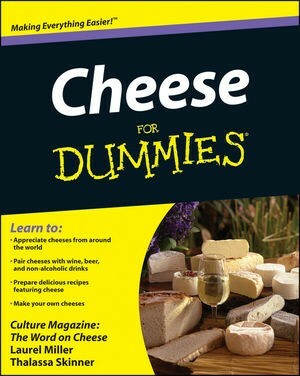 "Finally, here's a guide that gives a really easy-to-understand overview of the vast cheese world and how to make your way around it with satisfaction, curiosity, and adventure--not to mention a little stinkiness!" "The writing style is wonderfully entertaining. The book also has lovely color photographs. RECOMMENDED." Snacking On Xanax My “not-blog” on food and travel. The Sustainable Kitchen® is a registered trademark.